B.M. Jain, IJAA's founding editor-in-chief, is an Indian political scientist who has worked toward advancing geo-psychological and psycho-cultural approaches to the study of international relations, foreign policy behavior, and defense, security and strategic policies within the contours of the international system. Jain has been a senior fellow at the Indian Council of Social Science Research (ICSSR), New Delhi, India. He was formerly a professor of political science and Senior UGC Research Scientist in political science at South Asia Studies Center, University of Rajasthan, India, and was also a visiting professor at the Department of Political Science, Cleveland State University, Ohio, at Binghamton University in New York, and at Jaume 1 University, Castellón, Spain (the UNESCO Chair of Philosophy for Peace). Jain has published over 18 books and nearly 100 articles. His most recent books include: China's Soft Power Diplomacy in South Asia: Myth or Reality? (Lexington, 2017); Indo-U.S. Relations in the Age of Uncertainty (New York, NY: Routledge, 2016); India in the New South Asia (IB Tauris,2010) and Global Power: India's Foreign Policy, 1947-2006 ( Lexington, 2008). He is a manuscript reviewer for peer-reviewed journals- Pacific Affairs, Contemporary South Asia, South Asia: Journal of South Asian Studies, and Icfai Journal of International Relations. Romi Jain is the vice president of IJAA. She did her MBA from San Francisco State University, California, and received her PhD from CSU, Ohio. She is currently associated with the University of British Columbia, Okanagan Campus, Canada. Jain has extensively contributed articles on China to refereed journals such as the American Journal of Chinese Studies and the Journal of Third World Studies, and has also published in Asia Times Online and The Diplomat. In addition, Jain has published a fiction and numerous poems in international anthologies and literary journals. ﻿ Sumit Ganguly is a professor of Political Science and holds the Rabindranath Tagore Chair in Indian Cultures and Civilizations at Indiana University, Bloomington. He has previously taught at James Madison College of Michigan State University, Hunter College and the Graduate Center of the City University of New York and the University of Texas at Austin. Professor Ganguly has been a Visiting Fellow at the Center for International Security and Cooperation and the Center on Democracy, Development and the Rule of Law at Stanford University. He has also been a Fellow and a Guest Scholar at the Woodrow Wilson International Center for Scholars in Washington, DC. Most recently, he was a Visiting Scholar at the German Institute for International and Area Studies in Hamburg. Professor Ganguly is the author, co-author, editor or co-editor of twenty books on contemporary South Asia. His most recent book (with Rahul Mukherji) is India Since 1980 (Cambridge University Press). He is currently at work on another book, Deadly Impasse: India-Pakistan Relations at the Dawn of a new Century, under contract with Cambridge University Press. Patrick James is a Professor of International Relations and Director of Center for International Studies, University of Southern California, Los Angeles. His recent books include Rethinking Realism in International Relations: Between Tradition and Innovation (with Annette Freyberg-Inan and Ewan Harrison, eds. ), Baltimore, MD: Johns Hopkins University Press, 2008; and Canadian Studies in the New Millennium (with Mark Kasoff, eds. ), Toronto: University of Toronto Press, 2007. V.R. Mehta is the president of the Foundation for Academic Excellence and Access and a former vice chancellor, Delhi University, New Delhi. His publications include Foundations of Indian Political Thought; and Political Ideas in Modern India(with Thomas Pantham). T.V. Paul is the James McGill Professor of International Relations in the Department of Political Science at McGill University, Canada. He is Founding Director of the McGill University—Université de Montreal Centre for International Peace and Security Studies (CIPSS).﻿ His most recent books include Globalization and the National Security State (with Norrin Ripsman), Oxford University Press, 2010; andTradition of Non-Use of Nuclear Weapons, Stanford University Press, 2009. Lloyd Rudolph is a Professor of Political Science Emeritus, University of Chicago in Illinois. His publications include: Modernity of Tradition: Political Development in India, Chicago: University of Chicago Press, and The Regional Imperative: The Administration of U.S. Foreign Policy Towards South Asia Under Presidents Johnson and Nixon, New Delhi: Concept Publishers. 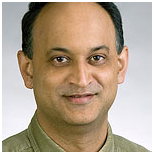 Shalendra D. Sharma is a Professor in the Department of Politics at the University of San Francisco, CA, and also teaches in the MA program in the Department of Economics. His recent books include Achieving Economic Development in the Era of Globalization (Routledge, 2007) and China and India in the Age of Globalization: A Comparative Political Economy (Cambridge University Press, 2009). Sharma also serves as a consultant to the World Bank and the IMF. Copyright 2018 Indian Journal of Asian Affairs. All rights reserved.